3D Plant Phenotyping, Structure from Motion, Clustering, Labeling, Nurbs Fitting, Sunﬂowers. high throughput results and slow down the research. and senescence of sunﬂower plants. the soil (here in a pot) and supports the leaves. • Petiole: a thin stalk from the main stem to a leaf. used so that each leaf is given a unique label. where young leaves appear around the capitulum. 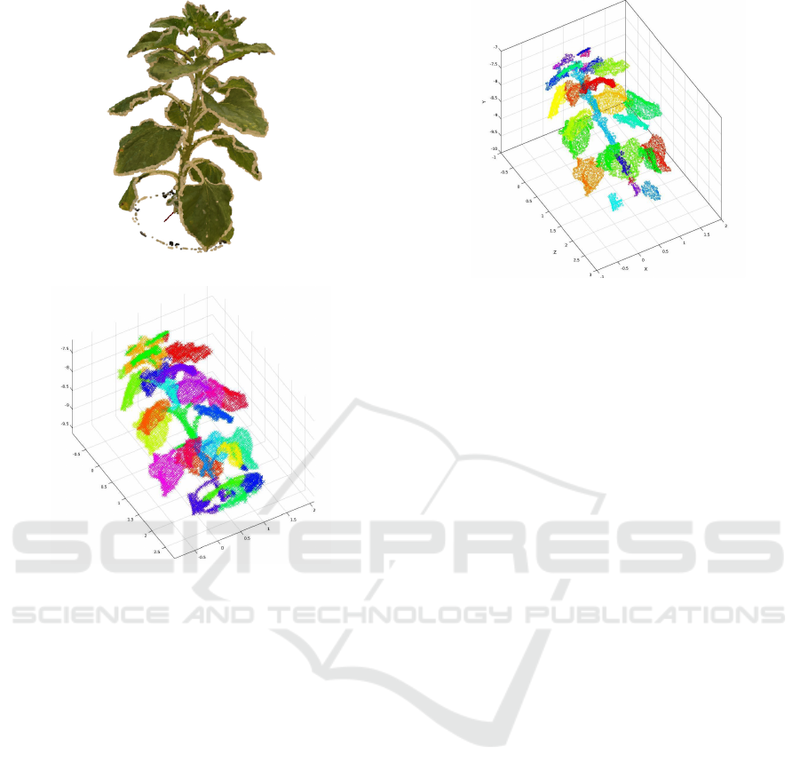 Gelard W., Devy M., Herbulot A. and Burger P.
Model-based Segmentation of 3D Point Clouds for Phenotyping Sunﬂower Plants. 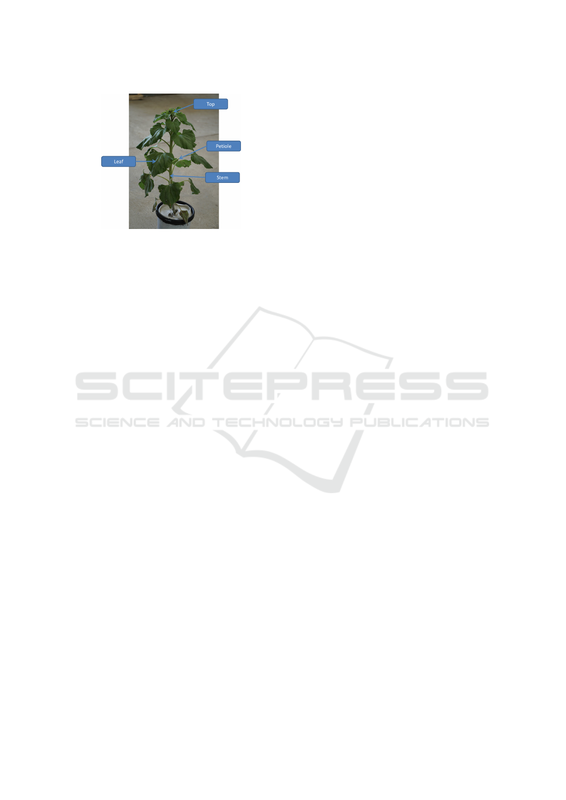 Figure 1: Description of a sunﬂower plant. ing to study dynamics of plant variables. problem which is the leaf area. era, laser scanner, depth camera, stereovision, etc. around the plant and provides a sparse point cloud. creases the overall cost of the workﬂow. Figure 2: 3D point cloud given by Bundler+CMVS/PMVS. Figure 3: Result of K-means algorithm with k=25. the top were merged with it. problem as K-means for the main stem and the top. Figure 4: Result of DBSCAN algorithm. algorithm is shown in ﬁgure 4.
use 3DSOM, a commercial 3D digitization software. low resolution of the point cloud. ties based on normal and curvature around the point. Figure 5: Result of K-means on SFH with K=2. that requires an a priori manual learning of the model. leaf, lead on a bad segmentation. 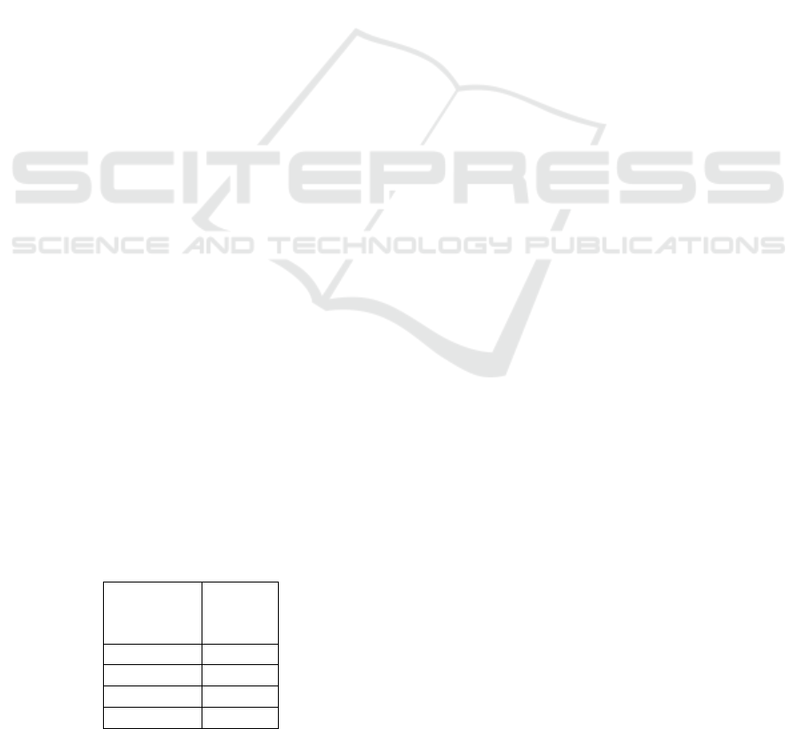 method is presented in the rest of this paper. sidered in the phenotyping method. according to the known botanical sunﬂower model. All the implementation was done in C++ with PCL. more tricky method for the main stem extraction. Figure 6: Example of the ring climbing along the stem. is added to the ring while the ﬁrst ones are removed. radius, moving along a curved axis. ized cylinders of same axis but with different radius. than the one used for the ring (called stem radius). the leaf extraction as explained hereafter. Figure 7: Result of ECE on the petioles insertions cloud. labeling only if it does not respect the model. label can be assigned from their petioles insertions. Table 1: Phyllotaxic angles without label correction. Table 2: Phyllotaxic angles after label correction. described in (Morwald, 2012) and is available in PCL. Figure 8: Result of leaf clustering. Figure 9: Example of ring reaching a leaf. Figure 10: Comparison of NURBS ﬁtting on a point cloud. reﬁnement is given in ﬁgure 10.
to use this data as ground truth. tures and to the effort required to isolate the plant. model leads to a correct leaves labeling. cording to the reﬁnement: results are given in table 3. NURBS the more the NURBS ﬁt the real leaf shape. area) to a leaf passed through a planimeter. truth, with various NURBS reﬁnement. cal studies based on this method. but mostly the acquisition should be faster. growth tracking on the leaves. ization and Computer Graphics, 5(4):349–359. tronics in Agriculture, 82:122 – 127. 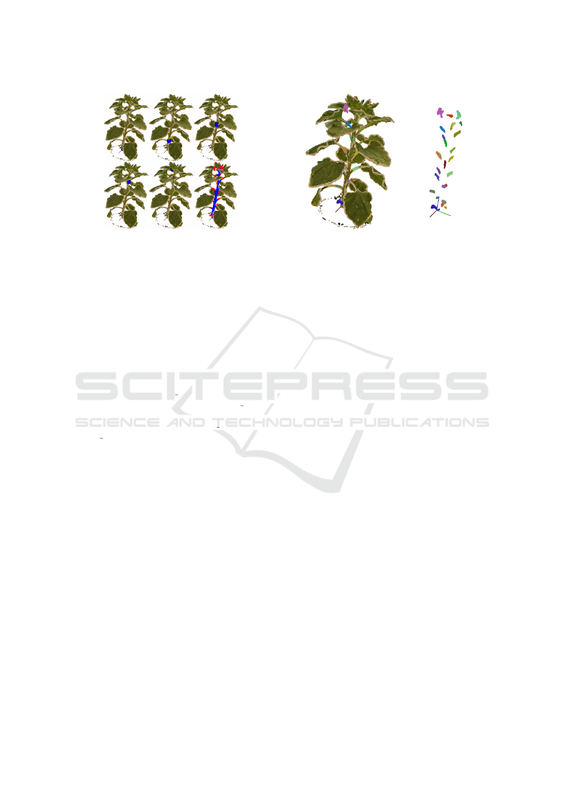 Plant Science, 18(8):428 – 439. Ester, M., Kriegel, H.-P., Sander, J., and Xu, X. (1996). large spatial databases with noise. AAAI Press. Analysis and Machine Intelligence, 32(8):1362–1376. 559–568, New York, NY, USA. ACM. 3d modeling performed using structure from motion. leaf area properties using laser scanner point clouds. 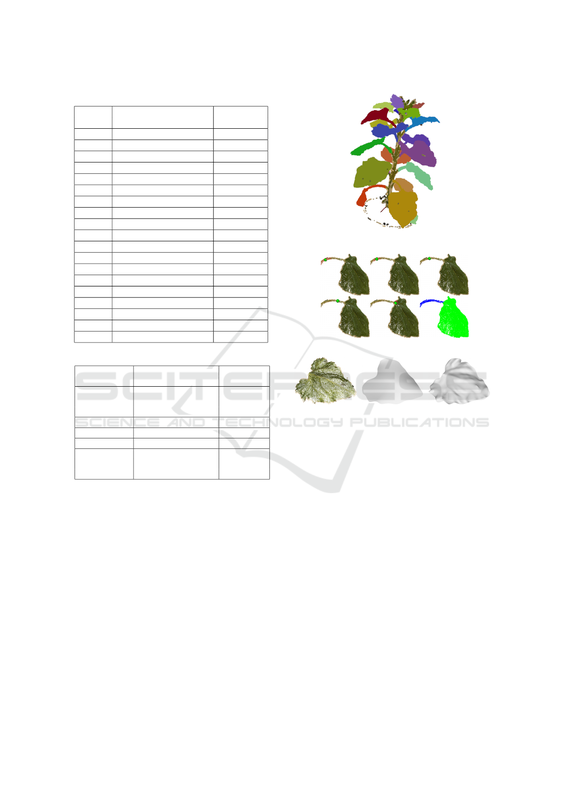 for 3d plant analysis. BMC Plant Biology. tools for plant phenotyping. Sensors, 14(2):3001. Paulus, S., Dupuis, J., Mahlein, A.-K., and Kuhlmann, H.
Kang, S. B. (2007). Image-based plant modeling. Rey, H., Dauzat, J., Chenu, K., Barczi, J.-F., Dosio, G.
of heliotropism and analysis of genotypic differences. 1853, Piscataway, NJ, USA. 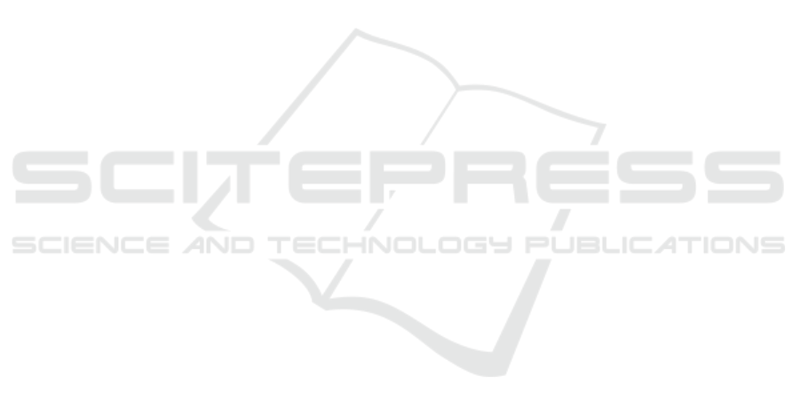 IEEE Press. terns and Images), Ouro Preto, MG, Brazil. 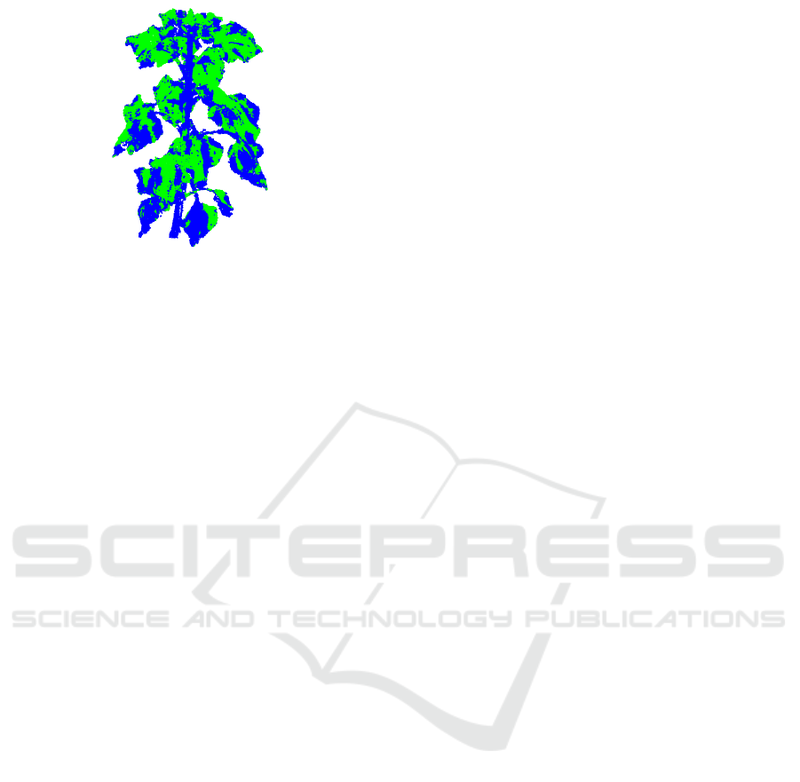 scanned point clouds for plant organ segmentation.